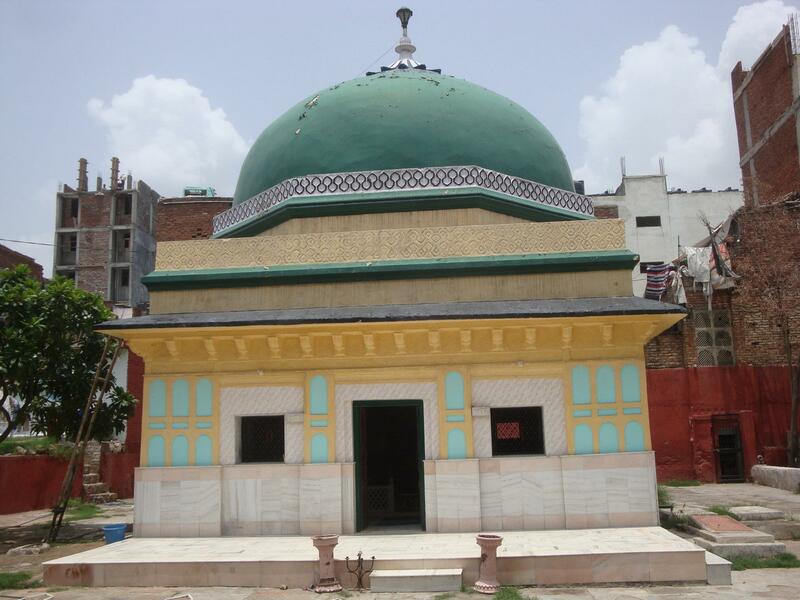 Little is known about Hadhrat Hāfiz Muhammad Muhsin Dihlawī Naqshbandī Mujaddidī qaddasa-Allāhu sirrahū (may Allāh sanctify his secret) who was a glorious master of the Naqshbandi order in Delhi, in the early 12th century of the Hijri calendar. He lived in Delhi where he first me Shaykh Muhammad Saif ad-Dīn Sirhindī quddisa sirruhū, the fifth son of Imām Muhammad Ma’sūm Sirhindī, who was sent there by his blessed father for the spiritual guidance of Emperor Aurangzeb Ālamgīr. He swore allegiance (bai’ah) in the Spiritual Path to Shaykh Saif ad-Dīn who was only twenty seven years old and was a great master of the Naqshbandī Order. This was circa 1076 AH. In a short time, he completed the Sulūk (spiritual journey) in the Mujaddidī tarīqa and was awarded deputyship by his shaykh. 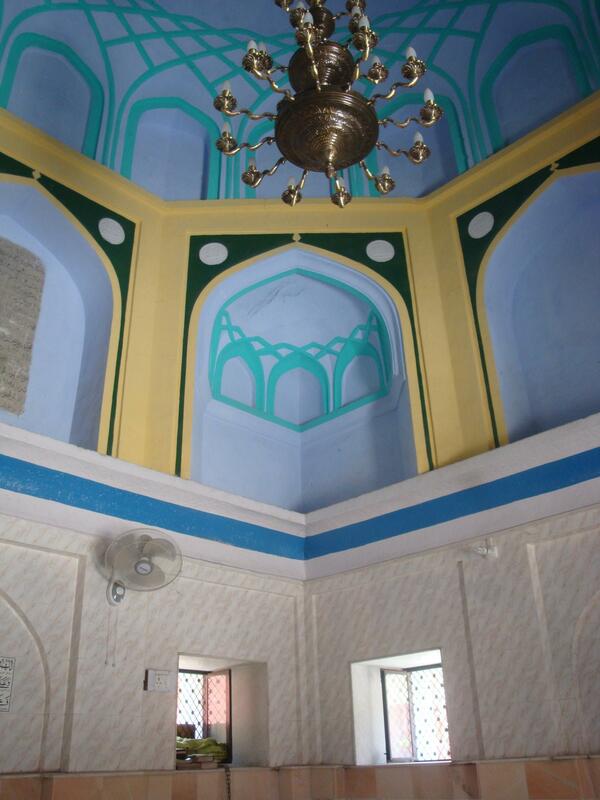 Shaykh Saif ad-Dīn then sent him to Imām Muhammad Ma’sūm for special blessings. When he reached Sirhind, Imām Ma’sūm blessed him with higher spiritual stations and awarded him deputyship. When Imām Ma’sūm passed away in 1079 AH, he continued to accompany his master Shaykh Saif ad-Dīn and received exalted spiritual stations. According to a letter of Shaykh Saif ad-Dīn, Hāfiz Muhsin was close to becoming the “Zimnī” of the shaykh, which means he would acquire all the spiritual excellences and perfections that his shaykh possessed. He had reached very high spiritual ranks, specially in Taqwā (piety). Hadhrat Sayyid Nūr Muhammad (d. 1135 AH), who first learned tarīqa from Shaykh Saif ad-Dīn, later associated himself to Hāfiz Muhsin to ascend to further stages of the path. He said, once I went to visit the tomb of my Shaykh Hāfiz Muhammad Muhsin; I saw in vision that the body and shroud of the shaykh was in good condition, but the dust had disturbed the palms of the feet and that part of the shroud. I asked him about the cause for that, and he said if you remember that I had placed someone’s stone at the place of my wudū without permission, considering that I will hand it over to the owner when he returns. Once I placed my foot on that stone, and that’s why it is affected by the soil. 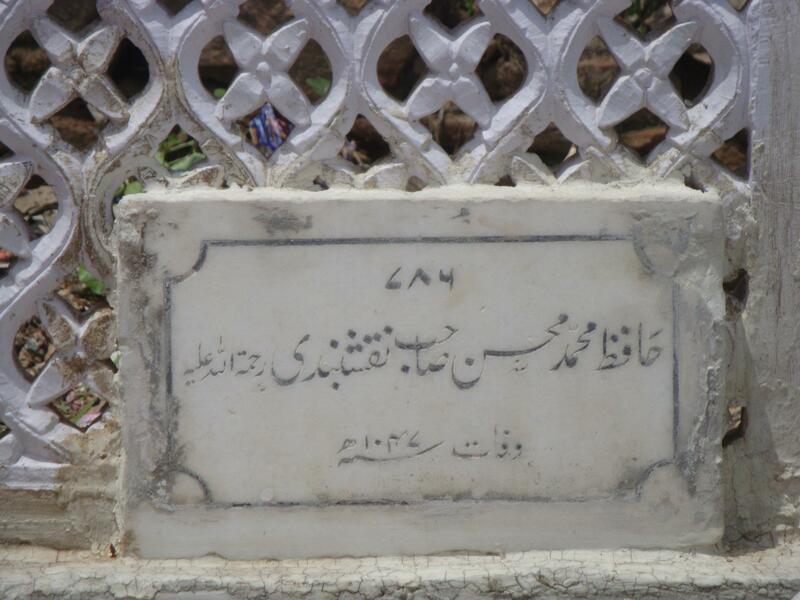 Hāfiz Muhammad Muhsin used to communicate with his masters using letters when he was away. Letter 67 in volume 2 of the letters of Imām Muhammad Ma’sūm is addressed to him. The Maktūbāt (collection of letters) of Shaykh Saif ad-Dīn contain two letters mentioning Hāfiz Muhammad Muhsin and his spiritual status (letters 170 and 172) and two letters directly addressed to him (letters 179 and 180). His dates of birth and death are not known, but it can be said that he died before Sayyid Nūr Muhammad, his deputy and successor, who passed away in 1135 AH. The author of Khazīnat al-Asfiyā records his death of demise in 1147 AH, but this is contradictory to the evidence. Most probably, he was born before 1060 AH and died before 1130 AH. 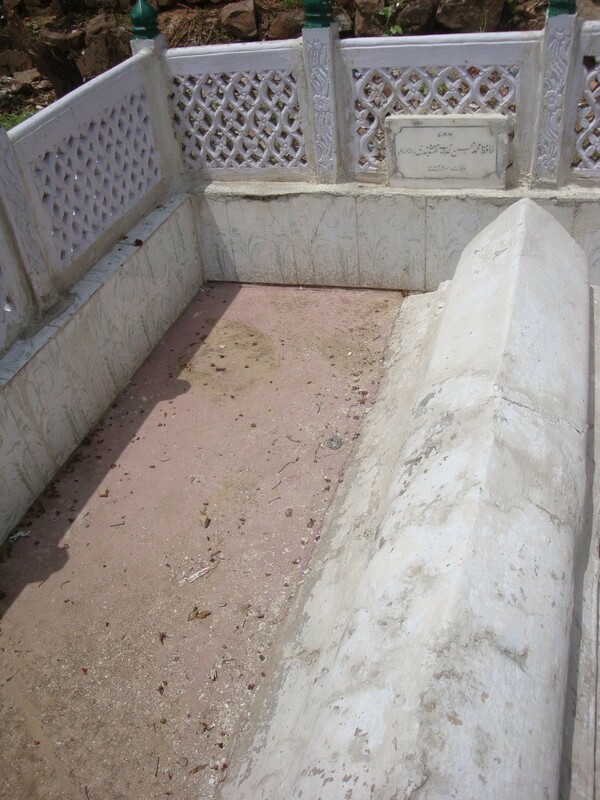 His illuminated grave lies inside the shrine of his grandfather Shaykh Abd al-Haqq Muhaddith Dihlawī in Delhi. 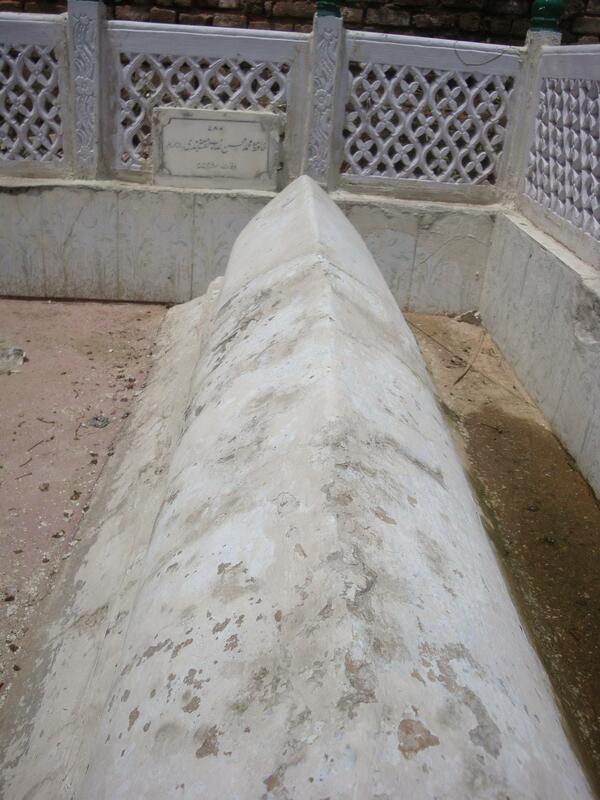 Hāfiz Muhsin’s venerable son Shaykh Muhammad Ihsān quddisa sirruhū was a great shaykh and one of the chief deputies of Hadhrat Mirzā Mazhar Jān-i Jānān may Allāh be pleased with him. He was a man of miracles and possessor of spiritual excellence. He did not wear warm clothes in winter, because of the inner warmth of zikr and love. He would often loose consciousness when he heard the name “Allāh”. He passed away in 1206 AH. The next in the Naqshbandī Mujaddidī Tāhirī spiritual golden chain is Sayyid Nūr Muhammad Badāyūnī. Maqāmāt Mazharī by Shāh Ghulām Alī Dihlawī, Urdu translation and research by Muhammad Iqbāl Mujaddidī, 2nd edition, Urdu Science Board Lahore, 2001. Short biography in Urdu by Mukhtār Ahmed Khokhar, published in Attāhir [www.islahulmuslimeen.org]. Khazīnat al-Asfiyā volume 3, by Muftī Ghulām Sarwar Lāhorī, translated in Urdu by Muhammad Zahīr ad-Dīn Bhattī, published by Maktabah Nabaviyyah, Lahore, 1994. Maktūbāt Khwāja Saif ad-Dīn Sirhindī (Persian). 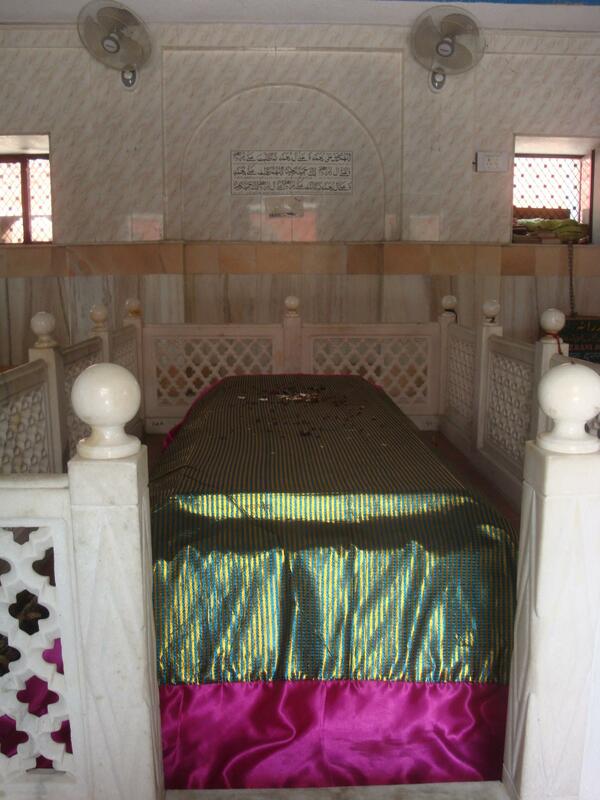 The noble shrine and grave of shaykh Abdul Haqq Dehlavi, the maternal grandfather of Hafiz Muhammad Mohsin Dehlavi who is also buried in the shrine complex. thanks a lot regarding this information. can u please mention where his tomb is in india.our khanqa has been searching for it desperately.its a pity his date of death is not known. 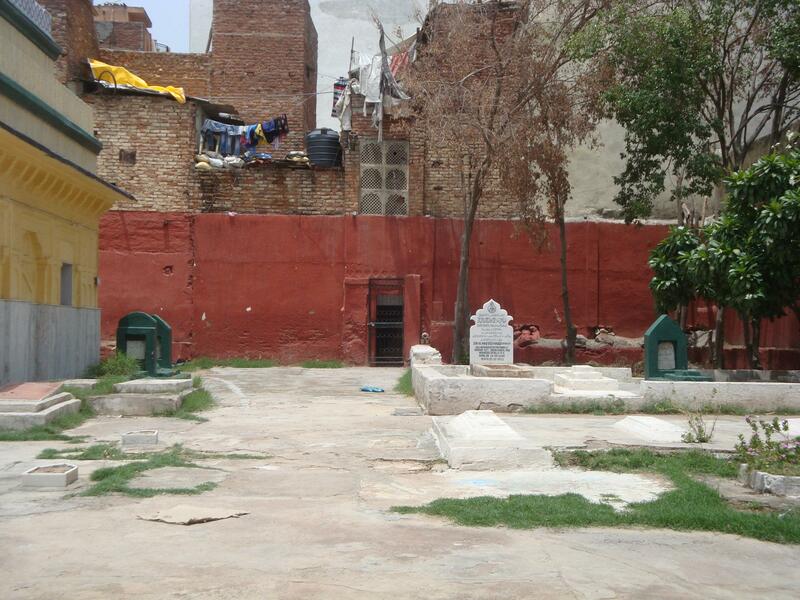 The sources indicate that the noble shaykh Hafiz Mohsin Dehlavi is buried in Delhi, inside the shrine of his grandfather shaykh Abdul Haqq Muhaddith Dehlavi. I do not know further than this.